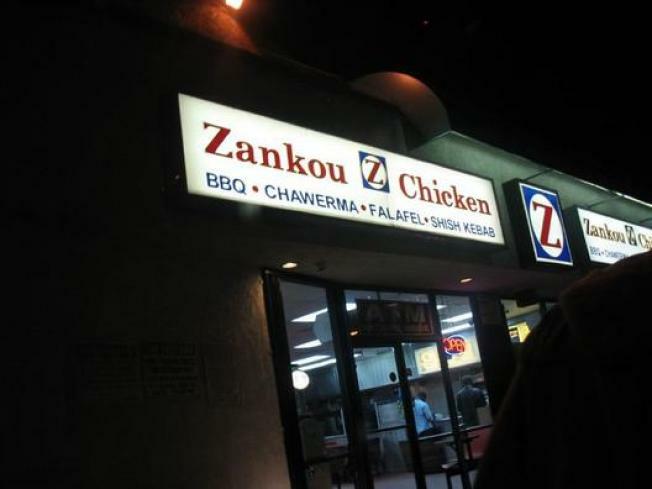 A tipster adds a twist to Zankou Chicken's quest to blanket the Southland with pungent garlic paste. We knew the rotisserie chickens would soon be found in the Nona Cafe spot on Ventura, but we now hear the new Tarzana location has applied for a license to serve beer and wine, so you can drink chardonnay with your chawerma. A call to the Burbank location revealed no imminent plans for booze there. The rest of your Zankou questions (like why the Hollywood location is not part of this expanding flock) can be answered by reading the tragic story of the founding family published by Los Angeles magazine in April, now online.